As some parts of Australia have been experiencing high temperatures lately, I thought it important to touch on the most important thing you will pack in your beach bag this summer; sunscreen. 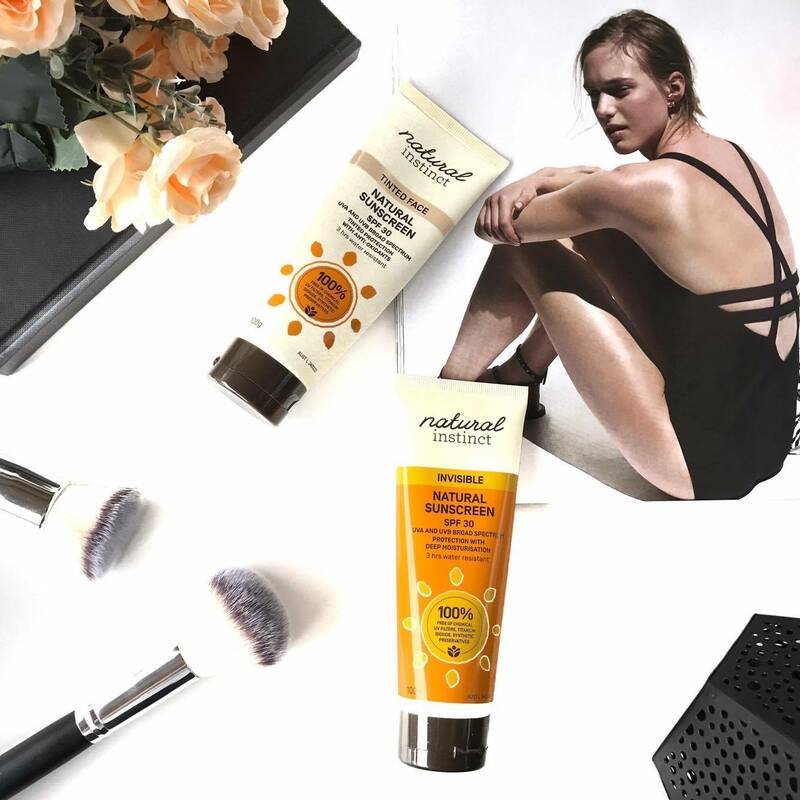 Sunscreen is essential for preventing sunburn and skin cancer while spending time out in that hot Australian sun, but did you also know it is the number 1 product you should have in your anti-ageing arsenal? Today I am talking about Natural Instinct's Suncare range which offers a natural solution to chemical sunscreens. Natural Instinct offers 3 sunscreens in their range; a tinted face option, a body and face option and a kids sunscreen. 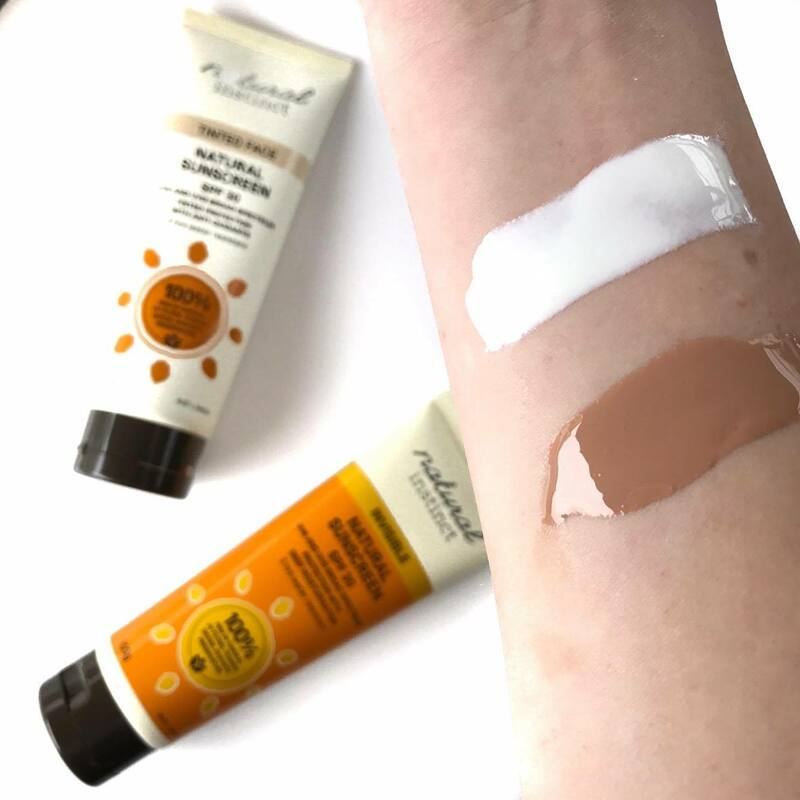 Today I am going to talk about the Invisible Natural Body Sunscreen and the Tinted Face Natural Sunscreen. Natural Instinct's sunscreens both offer SPF 30 from all natural physical blocker zinc oxide. They give UVA and UVB protection, and are water resistant for 3 hours. Natural Instinct's Sunscreens are 100% free of chemical UV filters, titanium dioxide and synthetic preservatives. They are also cruelty free and are packed in recyclable packing. This sunscreen is lovely and moisturising on the skin, but darker skin types might find that it has a slight whitening effect on the skin due the high percentage of zinc oxide it contains. I found that I preferred to use this on my body, and the tinted version on my face. I wore this all day in the day (reapplying of course), and didn't get sunburnt at all. This tinted sunscreen is popularly used as a BB cream. It gives a slight tanned look to the skin, and I actually like using this all over my body as it gives me a golden glow. I prefer using this on my face on days that I am going makeup free as I feel that the natural oils and moisturising ingredients this contains would break makeup down. I don't generally wear makeup to the beach anyway (unless I am coming from somewhere else), so this fits the bill. It swatches much darker than it actually applies (leaving just a hint of colour), so don't be intimidated when you see the colour in the tube! 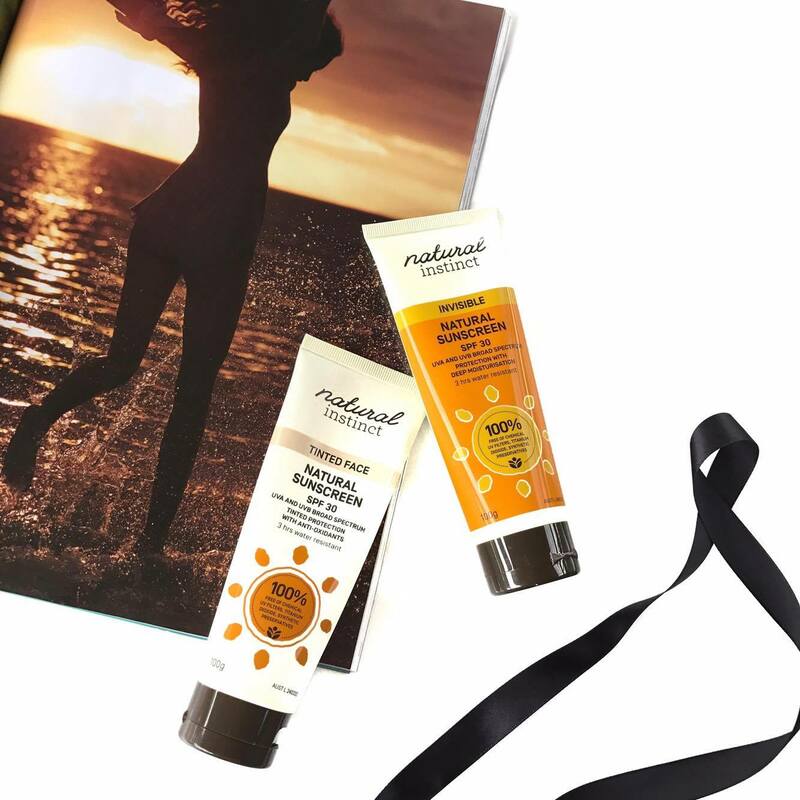 Both sunscreens are filled with natural ingredients and need to be thoroughly shaken before each use to ensure consistent protection. Care needs to be taken when applying the product as it is quite runny and will tend to pour from the tube if you aren't careful! Natural Instinct Sunscreens are super affordable and a great option for those looking for a natural sunscreen option! You can purchase them from your local Priceline. *Product provided for review. All opinions are my own.